Mountaintop removal coal mines like this one in W.Va. have polluted streams for years. Photo by Kent Mason. Long before it was finalized, the Stream Protection Rule was in the crosshairs. Opponents of environmental protections in Congress have criticized the rule-making process since it began back in 2009, holding regular hearings to condemn the Obama administration for its attempts to improve regulations on mountaintop removal coal mining — but often ignoring the ongoing impacts to Appalachian communities, public health and the environment. But the Stream Protection Rule itself, and the purpose it is intended to serve, remain critical to improving the health and wellbeing of Appalachian residents who suffer the long-term consequences of coal mining pollution. The scientific evidence linking mountaintop removal to poor health has been described as “strong and irrefutable” and a growing body of research is drawing the connection between the destructive mining method and significantly higher rates of birth defects, cancer, cardiovascular and respiratory diseases among individuals living in the region where it occurs. The final Stream Protection Rule offers only modest improvements for the protection of Appalachian communities and waterways threatened by coal mining pollution. It requires improved water monitoring and reclamation practices, but it falls short of preventing mining through streams or ending mountaintop removal. 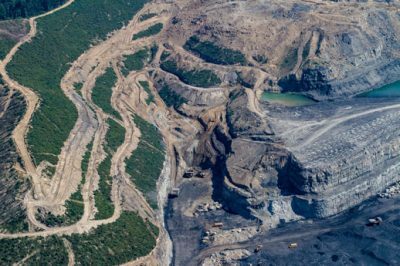 Implementing the rule would not adequately safeguard human or environmental health from the impacts of mountaintop removal, nor would undoing it reverse the Appalachian coal industry’s decades-long decline. Rather than rescinding the rule through administrative avenues, which could take years, legislators plan to utilize the Congressional Review Act, a rarely invoked 1996 law that allows Congress to block federal rules within 60 legislative days of their publication in the Federal Register. The Stream Protection Rule is by no means the only regulation that Congress intends to attack using the Congressional Review Act — because of the legislative calendar, it’s estimated that any agency rule finalized since mid-June could be at risk — but Trump’s implausible promise to “save the coal industry” makes it a top candidate. There are few impediments preventing Congress from erasing the rule by sending President Trump a “joint resolution of disapproval” under the Congressional Review Act, and preventing the Interior Department from ever issuing a “substantially similar” rule in the future. Perhaps only other items on Republicans’ agenda will force them to put off targeting the Stream Protection Rule. In the meantime, we hope members of Congress will realize that they’re gambling with Appalachia’s health and economic future, all for a risky bet on coal’s unlikely comeback. “Republicans are against the very idea of this rule, despite the fact that it replaces a 33-year-old regulation with a thoroughly vetted and scientifically based rule that attempts to balance the needs of the industry and local impacts. Using the Congressional Review Act to simply erase this rule and block critical protections from ever being updated is shortsighted and an insult to the tens of thousands of citizens who spoke up for strong stream protections. Statement from Chad Cordell with the Kanawha Forest Coalition. “As a West Virginia native, I’ve been concerned about the impacts of mountaintop removal since first learning that the beautiful valleys and streams of my home state were being buried under hundreds of feet of rubble by coal companies. Though the state sets permit standards for mining, there are still major problems. I’ve seen this first hand though my work with a group that has monitored water quality at a mine near my home over the past 3 years. Our inspections have found repeated violations, widespread erosion, water contamination, and persistent acid mine drainage.